The fourth quarter of the 2018 tax year is here, bringing with it record temperatures in many parts of the country. The ACA enforcement process is also heating up. 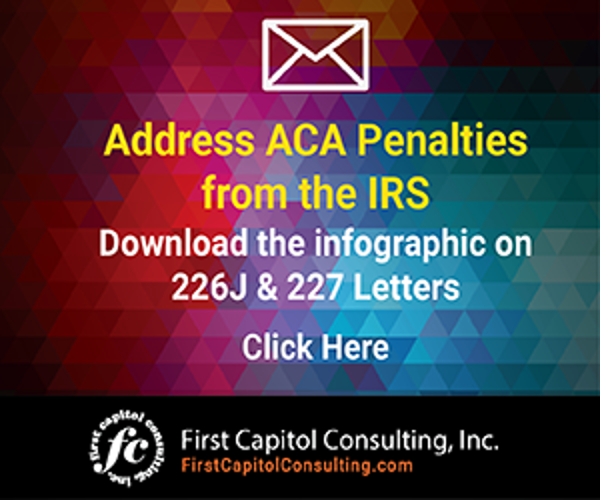 The IRS continues to issue Letter 226J penalty notices for the 2015 tax year, and Letter 5699 notices are being sent to employers the federal tax agency believes should have filed ACA information for the 2016 tax year, but didn’t. This is all part of setting the scene for the issuance of Letters 226J for the 2016 tax year. Another part of the general ACA enforcement process occurs when Exchange Notices are issued to Applicable Large Employers (ALEs), organizations with 50 or more full-time employees and full-time equivalent employees, which are required to offer Minimum Essential Coverage (MEC) to at least 95% of their full-time workforce (and their dependents) whereby such coverage meets Minimum Value (MV) and is affordable for the employee or be subject to IRS 4980H penalties. An Exchange Notice is issued to ALEs by state and federal health exchanges notifying them that at least one full-time employee sought health coverage through a state or federal health exchange and received a Premium Tax Credit (PTC). The employee was deemed eligible for the PTC because he or she claimed that he or she did not receive an offer of Minimum Essential Coverage (MEC) from his or her employer or did not receive an offer of coverage that was affordable and met Minimum Value (MV). He or she did not receive an offer of health coverage. He or she did not receive from the employer an offer of Minimum Essential Coverage (MEC) that met Minimum Value (MV) and affordable. Exchange Notices for 2018 are being issued to ALEs in California notifying them of employees receiving a Premium Tax Credit (PTC). From what we are observing, the number of Exchange Notices being issued by Covered California, the state’s health exchange, are up considerably from previous years. One can only surmise that Exchange Notices are starting to be issued elsewhere across the United States. It will be interesting to see if HR.gov and other state exchanges will be increasing the number of Exchange Notices issued for 2018 as compared to previous years. While Exchange Notices are not issued by the IRS, they are part of the broader ACA enforcement effort. An Exchange Notice issued by state and federal health exchanges is the precursor to receiving an IRS Letter 226J, the penalty notice issued to ALEs identified as not complying with the ACA’s Employer Mandate. Exchange Notices need to be taken seriously if ALEs want to avoid receiving an IRS Letter 226. Attempt to appeal the notice. Ignore it and wait until your organization receives IRS Letter 226J. In order to successfully appeal the Exchange Notice, an ALE must have documentation readily on hand. The offer of coverage and the details of that coverage are key for successfully appealing the notice. ALEs must also be able to explain their methodology for tracking hours to determine full-time status. Proper understanding of the tracking of employees to apply one of the IRS’ approved measurement methods is critical. Failure to successfully appeal the notice will likely result in receiving IRS Letter 226J. 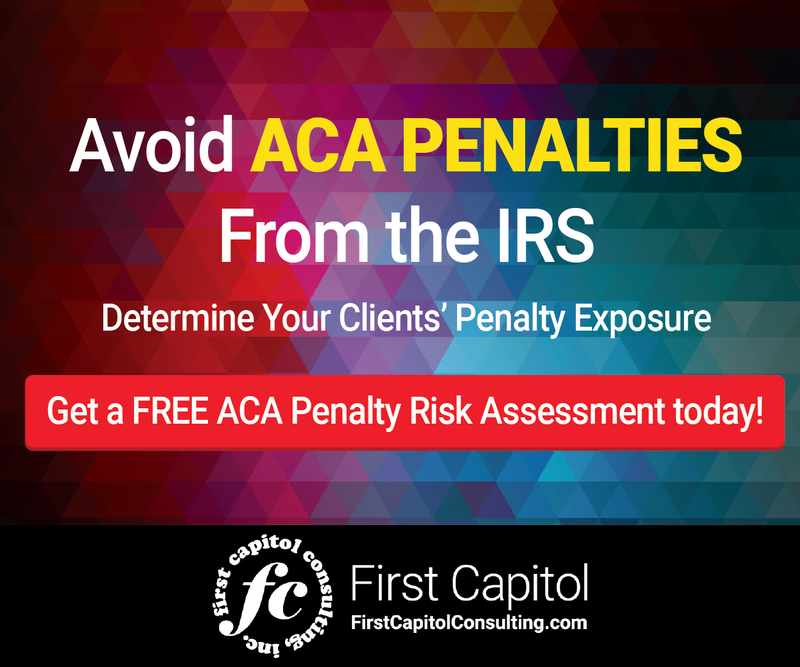 We recently issued an ACA Penalty Prevention Infographic that explains this enforcement process. It can be downloaded here.